The two-hundred-year-old family torah of the Alexander family, featured in Hanns and Rudolf, is being repaired by expert sofer Mordechai Pinchas. To see the repairs and comments on the torah, go to his Facebook journal entry. The Alexanders rescued the torah from Germany in 1936. 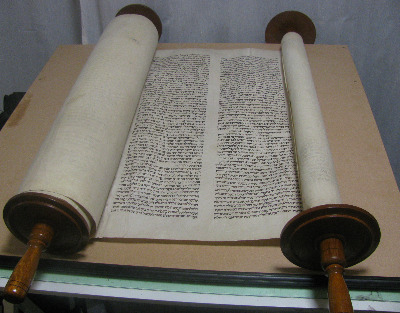 It became the first scroll used by the Belsize Square Synagogue when it was formed in the late 1930s in London. 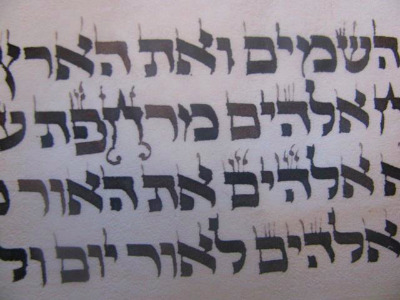 The torah has suffered tears in the parchment, water damage and wearing- down of letters over the years. The scroll was handed over to Mordechai in 2012, and the repairs should be complete by the end of 2013. The torah will then be ready for regular day-to-day use by the synagogue from that point forward.